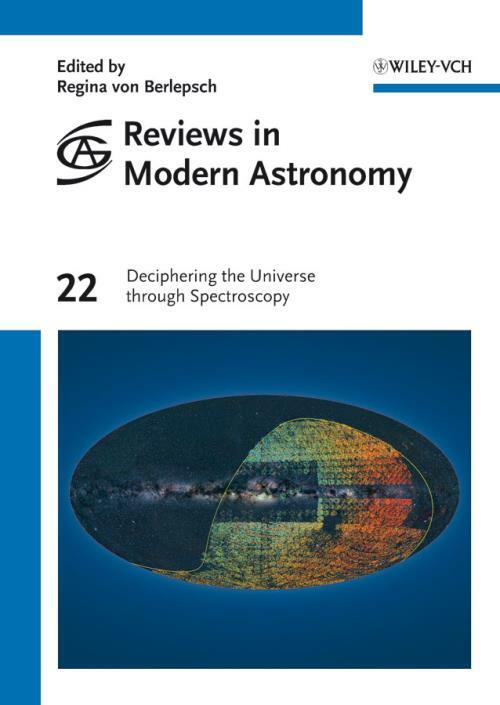 This 22nd volume in the series contains 15 invited reviews and highlight contributions presented during the 2009 annual meeting of the Astronomical Society on the topic of "Deciphering the Universe through Spectroscopy". Spectroscopy is a key method in modern astrophysical research throughout all wavelengths. Applications range from the measurements of magnetic fields on the surface of the Sun over detailed measurements of abundances in stellar atmospheres to the kinematics of the universe on its largest scales. Spectroscopic facilities are key utilities on space and ground based telescopes, and future observational landmarks such as ALMA and the E–ELT primarily focus on spectroscopic methods. 10) Roy van Boekel: Disks and Accretion in Orion′s suburbs (based on Data from VLT, CAHA, SDSS, 2MASS, and Spitzer).